If you’re like most people, you probably don’t give magnesium a lot of thought. Maybe it’s time that you should: Magnesium is the most frequently missed mineral in our diet. About 68 percent of Americans fall short of consuming the daily-recommended amount of magnesium, according to a government study. Yet magnesium is vital for 400 chemical reactions in the body, including detoxification. Low levels may cause headaches, insomnia, fatigue, and muscle cramps. Magnesium deficiency can also affect the cardiovascular system, leading to heart palpitations, high blood pressure, and poor blood-sugar control. Read on to learn about why magnesium is so important, which foods are high in magnesium, and why you ought to consider taking magnesium in supplement form. Simply put, magnesium is essential to good health. Your body uses this mineral for hundreds of biochemical reactions every day. Magnesium contains a certain enzyme that is required to facilitate vital processes—such as metabolizing your food, and assisting with gene function. You also need magnesium to retain muscle (no wonder spinach-eating Popeye was so strong! 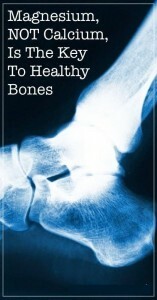 ).Your bones, too, need magnesium for mass and strength. Did you know that more than half of the magnesium in your body is in your bones? Magnesium also helps to relax your nerves and muscles. The liver—your detox organ—requires magnesium to do its work. And your heart depends on magnesium for healthy blood circulation. According to the Office of Dietary Supplements at the National Institutes of Health (NIH), magnesium may help prevent cardiovascular disease and immune dysfunction. Magnesium may also help prevent or treat a range of other conditions, including alcoholism, autism, asthma, and diabetes. Could Your Magnesium Levels Be Too Low? If your body is not getting enough magnesium, certain symptoms might provide a clue. Your muscles may feel weak, or you might have cramps or twitches. You may suffer from insomnia or a lack of appetite. If a blood test shows imbalanced blood-sugar levels or elevated fats, this may be due to low magnesium. Seizures, while less common, could stem from magnesium deficiency as well. Some people may experience arrhythmia (irregular heartbeat), irregular contraction, or increased heart rate. And here’s one strange fact: If you have difficulty phasing out background noise, it could be a sign of low magnesium! Be aware that certain medications can interfere with magnesium absorption. These include certain antibiotics, such as tetracycline, erythromycin, and neomycin. Other drugs that can affect your magnesium levels include birth control pills, the blood thinner warfarin, cyclosporine, and diuretics used to lower blood pressure. Do you have a taste for spinach, steamed broccoli, raw celery, and ripe tomatoes? All of these foods are great sources of magnesium. So are almonds, cashews, flax seeds, and cooked turnip greens. Yet even for those of us who eat well, some nutrients can slip through the cracks. If you have digestive problems or take certain medications, these can further deplete your body’s mineral and vitamin stores. 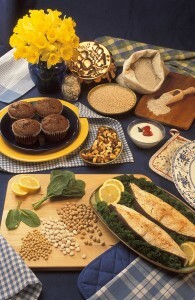 Your body does not produce magnesium; as with all other minerals, you must get it from outside sources. If you’re not getting enough magnesium from the foods you eat, it’s important to supplement your diet. Did you know that water, magnesium, and omega-3 oils are the most frequently missed nutrients in our diet? Fortunately, we can supplement them. You’ll find magnesium dietary supplements available in two forms: chelated and non-chelated. When magnesium is chelated, it is joined with a protein molecule so the body can absorb the magnesium more easily. Examples of this include magnesium glycinate, magnesium aspartate, and magnesium taurate. 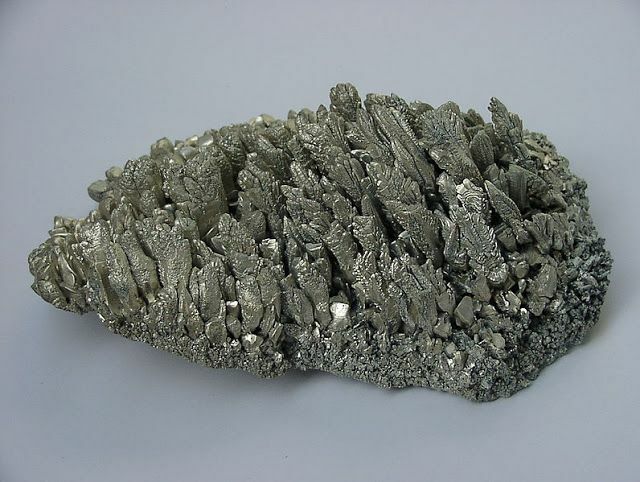 When magnesium is non-chelated, it is joined with an organic acid or fatty acid. Examples include magnesium sulfate, magnesium oxide, and magnesium carbonate. I recommend that you take magnesium in chelated form. Magnesium glycinate chelate is a highly absorbable form of magnesium that won’t cause stomach upset. Chelated magnesium is easier to digest—and it’s retained better in the bones, as well. Got questions about magnesium? Talk to me. Together we’ll find out if magnesium supplementation is for you, and we’ll put together a plan to have you feeling great. Stay Healthy & Live with Passion! Igor Ostrovsky, M.D., Ph.D. is the Founder of Vinci Health. He practices Functional (Integrative) Medicine, focusing on a whole-body approach and early prevention to help patients restore and maintain optimal health to achieve peak performance. Dr. Ostrovsky specializes in regenerative therapies, nutritional, preventive approaches, and anti-aging medicine. His unique expertise combines a range of treatments—from acupuncture and homeopathy to intravenous vitamins, chelation therapy, bio-identical hormone replacement and neurointegration (neurofeedback). Dr. Igor Ostrovsky is a Fellow of the American Academy of Anti-Aging Medicine, member of the American Society of Anesthesiologists, American Academy of Pain Management, American College for Advancement in Medicine (ACAM), Pan American Allergy Society, Charter Fellow of the American College of Acupuncture, and Homeopathic Medical Society of the State of New York.